Concerning food, consumers are constantly in search of wellbeing and taste. Accordingly, for several years, they have been looking for gluten-free products, for reasons of intolerance or by personal choice. However, gluten plays a vital role in the production of bread, thus requiring “gluten-free” bread recipes to be adapted via substitution of ingredients. 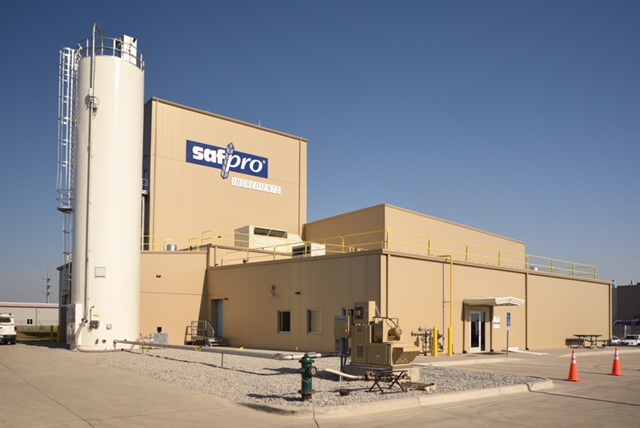 In the world of bread making, Lesaffre, which has become a recognized expert, supports bakers on a daily basis by offering solutions for all types of bread and processes. In some countries, “gluten free” is an emerging niche market. Lesaffre has thus designed solutions for a result that is the closest possible to bread “with gluten”, based on an innovative method for sensory analysis focusing on texture: the Temporal Dominance of Sensations (TDS) approach. 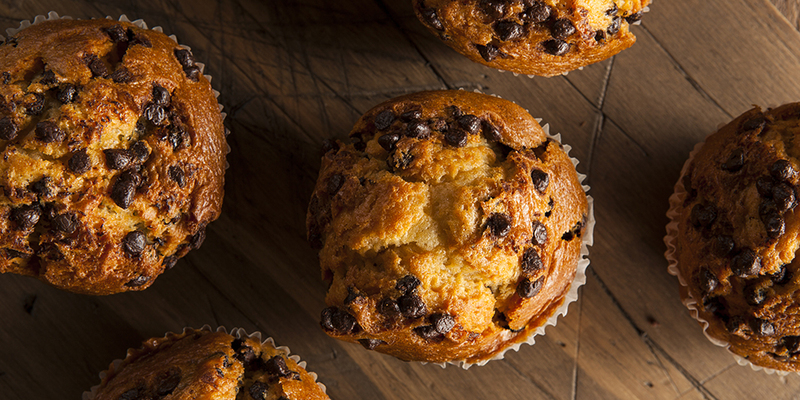 The boom of the gluten-free products market goes as far back as the early 2000s. Research & Markets expects growth of 10.2 percent per year by 2019. The bakery sector occupies a place of choice and claims 46 percent, by volume, of the gluten-free market. This gap is expected to widen further, and, by 2018, the sector could corner two-thirds of the value of “gluten-free” product sales. 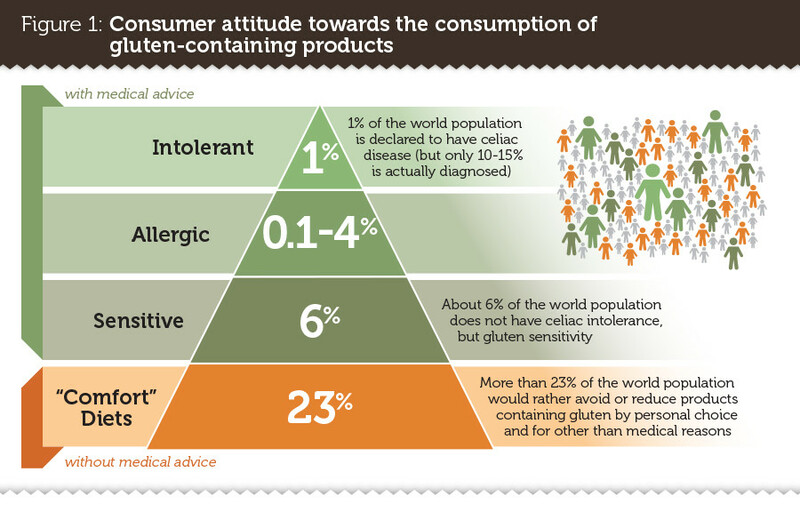 Diagnosed celiac consumers with medical prescriptions, whether they be intolerant, allergic or sensitive. Consumers without medical advice bringing together people in search of comfort food, and who, by personal decision, follow media-maintained fads. This segment of the population is more difficult to identify, probably because it also varies from country to country. It would represent up to 23 percent of the population according to some experts (Nutrimarketing, Datamonitor). How to address the lack of gluten in bread? Gluten is the protein fraction that is found in certain grains such as wheat, rye or barley, and plays a key role in the production of bread. Due to its viscoelastic properties, it allows the dough to rise, retaining the carbon dioxide produced by the yeast. Its conservation by accelerating the phenomenon of staling. The challenge is to develop gluten-free bread as attractive in terms of texture and taste, and as close as possible to gluten-containing bread. 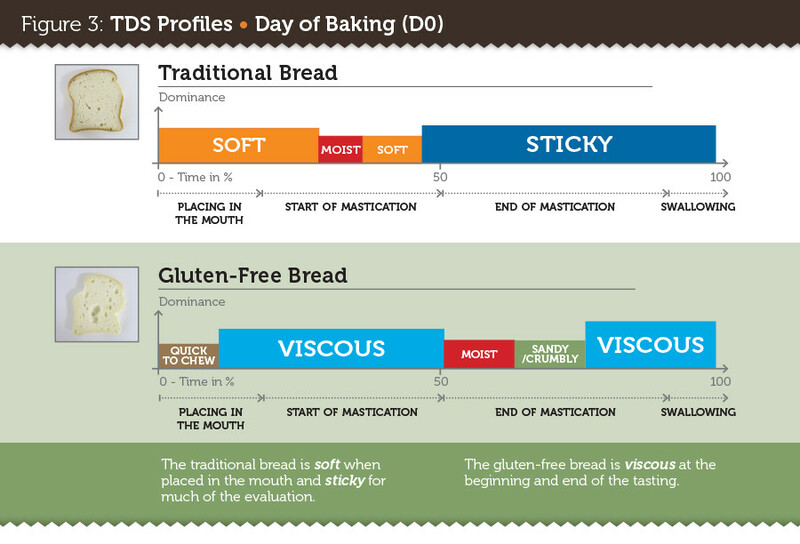 A new sensory method has opened new horizons for improving texture: the TDS approachTo support its bakery customers in improving their revenues, Lesaffre has evoloved a specific method of sensory analysis, to better understand what happens in the mouth when consuming gluten-free products. Called Temporal Dominance of Sensations (TDS), it continuously assesses changes in organoleptic properties from putting bread in the mouth to swallowing. Panelists are trained in the use of 8 specifically developed texture descriptors, which serve to record their perceptions over the tasting (Figure 2). 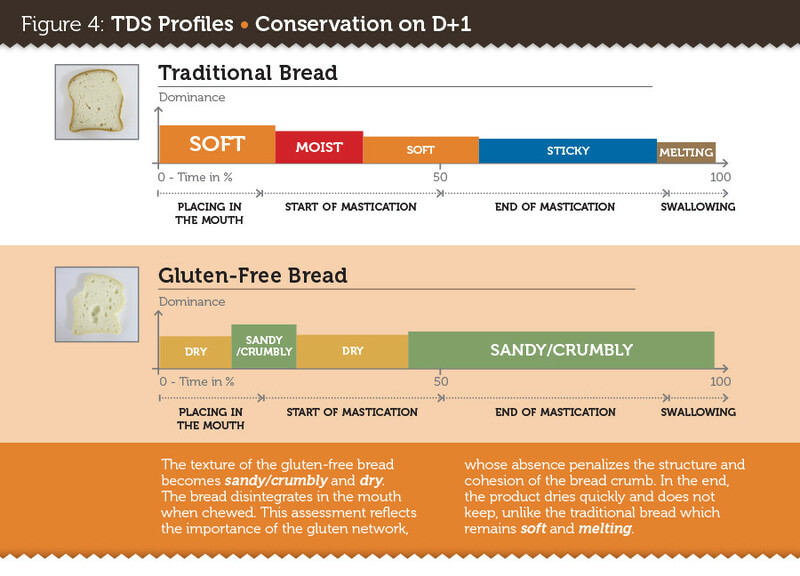 Traditional bread against gluten-free bread: a sizeable differenceUsing the TDS method, expert panelists first compared a traditional bread with gluten versus gluten-free bread representative of market standards. Below is a translation of the test as simplified graphs highlights the dominant perceptions noted (Figure 3 & 4). The presentation of the TDS results was simplified to facilitate understanding of the general principle. The size of the descriptor block is proportional to its dominance. 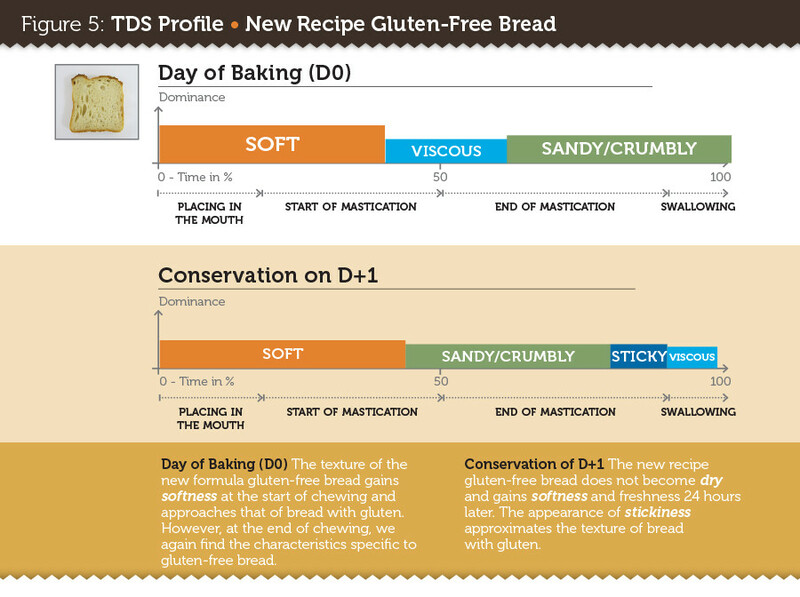 The TDS method allowed Lesaffre teams to improve the gluten-free bread recipe using novel texture enhancers, including fibers and specific plant proteins. If at the sensory level texture is one of the major criteria for assessment of a product (and for repurchase), flavor must not be overlooked, however, and is equally critical to customer satisfaction. Also, similarly to the work done on texture, Lesaffre also characterized with gluten or gluten free products in terms of odors and flavors, to enhance the gluten free product recipes. As such, natural sourdoughs prove valuable allies as they enhance the taste and improve conservation. Lesaffre thus proposes improvers, devitalized sourdough, and starters that can restore the aromatic notes of good traditional bread. On the process side, the Lesaffre R&D experts and Baking Center™ technicians are able to solve machinability problems specific to gluten-free bread by offering a wide range of technical solutions meeting not only the challenge of texture and taste but also that of the working of the dough. Thus, based on the TDS method, Lesaffre has developed the VitaSafe Gluten-free range of mixes (available in Europe) that includes six complete powdered preparations for the production of bread, pizza or pastry, consistent with regulations. Gluten-free bread consumers can now enjoy a round loaf, with an appetizing crust and a soft melting crumb, full of aroma, and that retains its qualities for hours and hours.